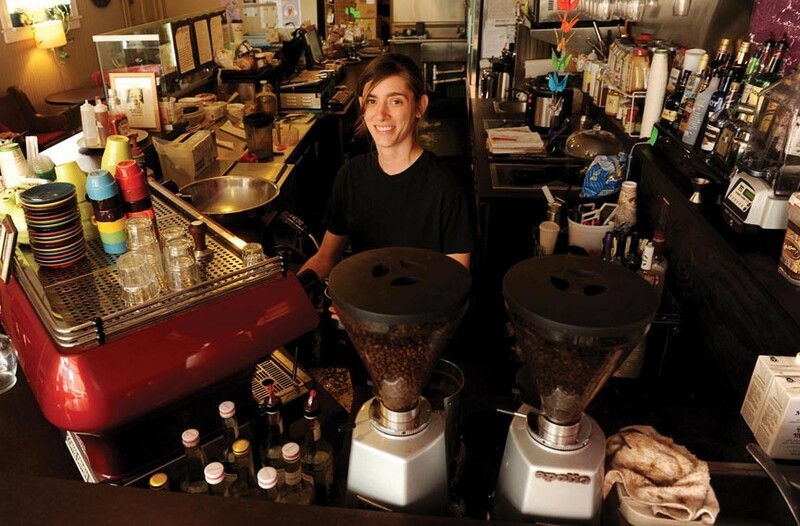 Leigh Isaac is a barista at Globehopper. The Laverne: Pepsi, milk and espresso over ice. "It was inspired by Laverne and Shirley's love of Pepsi and milk and my love of Manhattan Special espresso soda. I put the two together, and voila!" Butterscotched espresso con panna: house-made butterscotch sauce, espresso and whipped cream. "Butterscotched espresso! OMG, have you tried house-made butterscotch? It is divine. The espresso is just a convenient vehicle for it." The pumpkin redux: pumpkin-infused macchiato. "I roasted and reduced a pumpkin, added my special touches and created a macchiato that has become an annual tradition and a customer favorite." Iced marzipan: house-made almond milk, vanilla and espresso. Cardamom coffee and coconut: white and green cardamom syrup, espresso and coconut milk. At a barista competition in Atlanta where they competed, these were the two signature beverages. "We slaved over these drinks for months in preparation, so they are clearly close to our hearts."